GMP Third Party Audits are used by many companies to reduce the costs related to the audit process and to save resources. However, there is still an uncertainty about key aspects, e.g. with regard to the procedure, the requirements as well as to the compliance with EU GMP and FDA cGMP requirements. The following Q and A aims at answering the most frequent asked questions. Are GMP Third Party Audits accepted by EU and US FDA regulators? Yes, both the EU and the US FDA stated that Third Party Audits can be used as one option to verify the compliance status of a supplier. In Europe, the EMA published a document in July 2006 (see reference below) which defines how Third Party Audits can be used for supplier qualification. Representatives from US FDA also stated at many occasions that Third Party Audits may be used for supplier qualification ( further references can be found here). In other areas such as food and devices, Third Party Audits are already part of the legislation. What are the requirements from the regulatory authorities? The most important aspect is that the Third Party Audit must be initiated by a Qualified Person of the manufacturing authorisation holder who will use the API for the manufacture of the medicinal product. It is important to emphasise that other QPs e.g. from the broker/trader would not meet this requirement because they are not able to demonstrate that there is no conflict of interest. What is a Shared Third Party Audit and what are the benefits? A Shared Third Party Audit is defined as a GMP Audit which will be initiated by more than one Qualified Person. The initiators share the audit report and benefit from the reduction of costs related to the Audit. The API manufacturer as well benefits from this approach as the number of audit requests decreases accordingly. 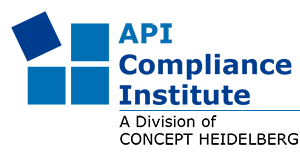 Is it possible that an API Manufacturer or a Trader/Broker initiates the Third Part Audit? No, a Third Party Audit initiated by theses parties would generate a conflict of interest. Can I purchase a GMP Audit report? In general it is possible to purchase an audit report, provided that the scope of the Audit is applicable to the active substances of mutual interest. Are there any requirements with regard to accreditation of a provider of Third Party Audits? No, EU and US authorities do not require accreditation of Third Party Audit providers. The EU is currently discussing an approach which may lead to a mandatory accreditation of Third Party Audit providers by the competent authorities in the future but for the time being accreditation certificates based on ISO Standards like ISO 17020 are not required. Compliance with the current EU legislation can only be achieved by reference to the document from July 2006 published by EMA (see reference below). Similar information was also published by MHRA (see below).